Westgate Las Vegas Resort & Casino (formerly the LVH Hotel) is just one block from the famous Las Vegas Strip and is suitably placed to taste the vibrant buzz of the Sin City. 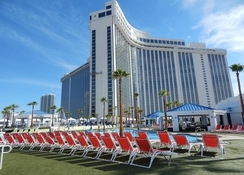 Easily accessible to most iconic landmarks like downtown Las Vegas, the Strip and top shopping malls, this 3-star property brims with over 2800 spacious air conditioned guest rooms, a large casino with slots and games, elaborate gourmet and casual dining choices and adequate conference space and business services. 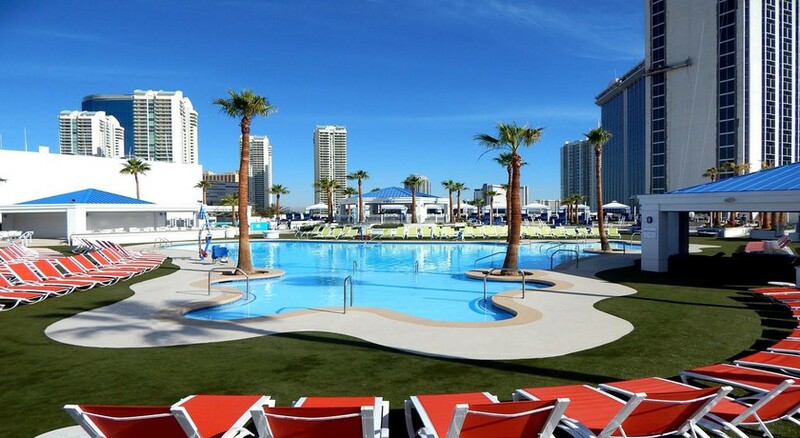 Stay at this amazing hotel that was also checked into by Elvis and other celebs to experience a comfortable stay never far away from the throbbing energy of Las Vegas. The hotel with its warm hospitality promises to enrich your wonderful city break in Las Vegas. Westgate Las Vegas Resort & Casino (formerly the LVH Hotel) is just one block from the famous Strip. The Lake of Dreams is 2.1km away; the Fashion Show Mall is 2.2km from the property. The hotel is just 5km from Las Vegas McCarran International Airport and shuttle service to the hotel is available with charge. 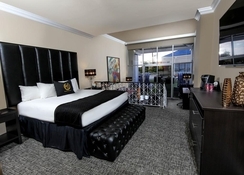 Westgate Las Vegas Resort & Casino has just under 3000 well-appointed guestrooms to suit all types of guests. The guestrooms and suites are categorised as Signature Room, Premium Room, Studio Suite, One-Bedroom Villa, Deluxe One-Bedroom Suite, Luxury One-Bedroom Suite, Lanai Suites, Barron Hilton Suite, Desert Suite, The Bedroom, Tuscany Sky Villa, Verona Sky Villa and Versailles Sky Villa. The air-conditioned rooms have as a private bathroom (bath and shower, hair dryer, WC), standard ultra-soft bedding, 24-hour room service, flat screen TV, high-speed Internet access (fees may apply), desk and desk chair, safe, telephone, and stunning views of the scenic Las Vegas valley or overlooking the Strip. Westgate Las Vegas Resort & Casino offers a large array of dining choices catered by 12 restaurants including the award-winning Casa Nicola, Benihana and TJ's Steakhouse. The Burger Bistro is for the meatilicious classic burger with delicious sides and a variety of appetizers. There is also the famous buffet, and Paradise Café for casual fare. A large food court provides food on the go as well as local favourites like Fortuna for a glass of wine or snack near the lobby. Guests can relax with cocktail in any of its eight bars and lounges. The hotel offers swimming pool and Jacuzzis, sun beds and umbrellas where guests can soak in the sun. There are six tennis courts, full service beauty salon, games arcade, slots & casino games. The spa is a soothing indulgence, with 11 treatment rooms and men's and women's relaxation lounges with plasma TVs, wet saunas, dry saunas, steam rooms, and twin spa tubs. Treatments include the stone massage, seaweed mud wrap, and Vitamin C facial. Use of spa facilities, including a fitness centre, is available for a daily charge. A large casino with slots and games can indulge the guests for hours. Westgate Las Vegas Resort & Casino is in a perfect position for visits to Hoover Dam, Lake Mead and a bit further north to Red Rock Canyon for stunning scenery and hiking trails. *Please note that the hotel has a Resort fee to be paid locally. Daily Resort Fee includes: Wireless Internet access – Three devices throughout the resort (excludes the convention centre), free local and 800 calls (excludes international), free Access to the Art Cardio Fitness centre – Two adults per day, bounce back offer for a future stay at Westgate Las Vegas Resort & Casino (golf and tennis are to be featured), complimentary USA today newspaper, Special Daily offers and discounts, bounceback coupons for future stays.